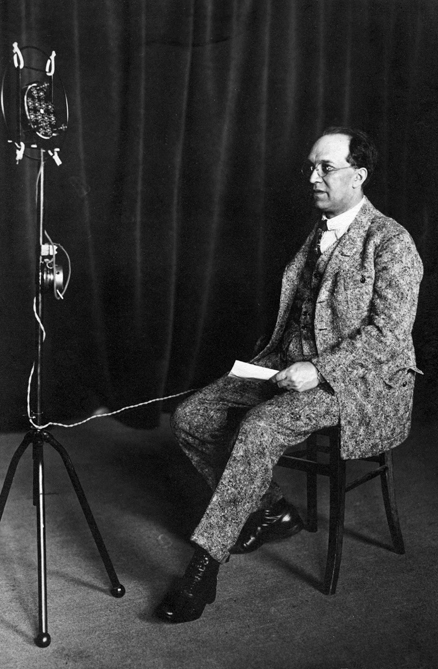 Franz Schreker, artistic consultant for the Comedia-Tonfilm series. Following concert films on Schillings, Walter, Blech, Kleiber and Stiedry, the film was the sixth to be released by the Comedia-Tonfilm GmbH in the series “Das Weltkonzert”. Franz Schreker was artistic advisor for the series. Filmed at the Semperoper in Dresden in 1932 or in January/February 1933. However, the Friends of Fritz Busch Society in New York make the date 1930. Because Jewish artists had performed in it, copies of the film were no longer circulated in Germany after 1933 and were presumably destroyed. The film used for the image and sound restoration for the “CD Edition Staatskapelle Dresden” was a 16 mm copy of the English version from the Brüder Busch Archive in the Max Reger Institute / Elsa Reger Foundation.